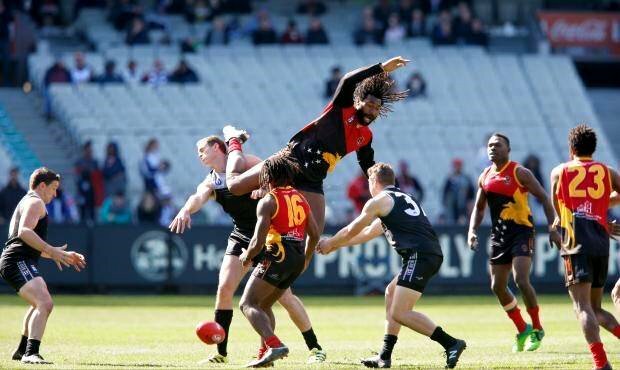 The PNG Mosquitoes excellent performance in the 2017 AFL International Cup is attributed to the great support they received during their training preparations back in the country. That’s the word from the Mosquitoes National Assistant Coach Mr. Douglas Lai when appreciating the help the players got, especially from the PNG High Performance Centre. Mr. Lai is great full because the team got a lot of assistance in terms of how to deal with injuries, fitness preparations and the use of the facilities for fitness training which improved each player’s performance. He is also thankful for the two High Performance Centre staffs who went along with them and provided much help to the PNG AFL men’s national team, which then resulted in their victory over New Zealand in the grand final on Saturday. “The victory also makes PNG become the first country to get a back to back win in the International Cup,” he said. Mr. Lai is proud of that and is also great full for other supports coming from the sponsors and the National Government to get them to this level on the international stage. PNG won the first International Cup title back in 2014 against Ireland and has successfully defended it in this year’s International Cup against New Zealand. Meanwhile, the Mozzies arrived back home yesterday along with the women’s AFL national team, the PNG Flames who also did well in the 2017 International Cup. Pictures: The highlights of the grand final match between the PNG Mosquitoes and New Zealand on Saturday at the Melbourne Cricket Ground, Australia.